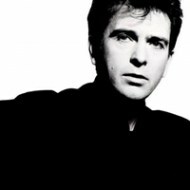 Between his years as the freaky frontman for Genesis and his early solo outings, Peter Gabriel was already a rock star before making So. But the 1986 album transformed him into something entirely different and completely unexpected — a full-fledged pop star. After leaving Genesis in 1975, Gabriel reinvented his art-rock approach in a new context, incorporating influences from the burgeoning New Wave and world music scenes over the course of four self-titled albums between 1977 and 1982. But while the funky single “Shock the Monkey” from his fourth album had made the Top 40, it still didn’t prepare him for the heights he would reach next time around. So was the first album to which Gabriel had ever given an official title. But he gave people a lot more than that to hang onto. Gabriel’s fifth solo record turned out to be his most accessible and radio-friendly without sacrificing an ounce of the artistry he’d displayed on his earlier outings. It earned not only the admiration of the masses and the critics alike, but also four hit singles. Gabriel had been a soul fan since his youth, but this was the first time he really brought an R&B influence to bear in his music in an overt way. “Sledgehammer,” the first single from So, is a sassy, soulful strut that finds Gabriel with tongue firmly in cheek delivering a series of not-so-subtle sexual metaphors. Heavily informed by his love of Otis Redding, Gabriel drafted erstwhile Redding trumpeter Wayne Jackson of the Memphis Horns to add some old-school soul cred to the track, which still managed to sound completely contemporary. Besides becoming an enormous hit, the song had a distinct Claymation video that became one of the most-played music clips on MTV. “Big Time,” another ironic hit single, deals with the materialistic, acquisitive more-is-more philosophy so prevalent in the mid-‘80s. It’s less retro-minded than “Sledgehammer,” having more in common with Prince or Robert Palmer than anybody from the Stax stable. The churning, funky groove is driven by bassist Tony Levin’s unconventional “drumstick bass” (a bass struck with sticks rather than plucked or picked). In addition to his band and co-producer, Gabriel brought in two important guest vocalists on So whose contributions had a huge effect. Gabriel had long been a proponent of world music (in 1989 he would start Real World, one of the most prominent purveyors of international sounds), and for “In Your Eyes,” he had Senegalese singer Youssou N’Dour add his passionate pipes to the tune’s epic romantic sweep. Besides becoming another smash So single, the song became part of the collective pop culture consciousness when famously played by John Cusack’s character in 1989’s Say Anything … from a boombox held aloft outside his true love’s window. Gabriel’s U.K. art-rock peer Kate Bush was his singing partner for the moving ballad “Don’t Give Up.” Initially inspired by photographs of Americans struggling through the Dust Bowl era, the song was written in a manner general enough to resonate in Thatcher-era England as well, as a sweet-voiced Bush offers encouragement to Gabriel, who voices the travails of a downtrodden worker. In 2005, no less esteemed a duo than Bono and Alicia Keys would cover the song. Though Gabriel would never reproduce the phenomenal success of So on any of his subsequent albums, the record turned him from a rather cultish thinking-man’s rock star into a bona fide celebrity. In addition to occupying the pages of music magazines, he started turning up in celeb gossip rags that dished out details about his romance with actress Rosanna Arquette. The media suddenly noticed that when he wasn’t hiding behind weird makeup and creepy album covers, Gabriel was quite the photogenic character. In the end, none of the album’s commercial impact matters to anything outside of Gabriel’s bank balance. What makes So important is the way he seamlessly blended peerless pop savvy with an iconoclast’s adventurous artistic instincts. His slightly twisted pop songs packed enough emotional impact, sonic surprises and catchy melodies to make for one of the era’s most consistently rewarding records.